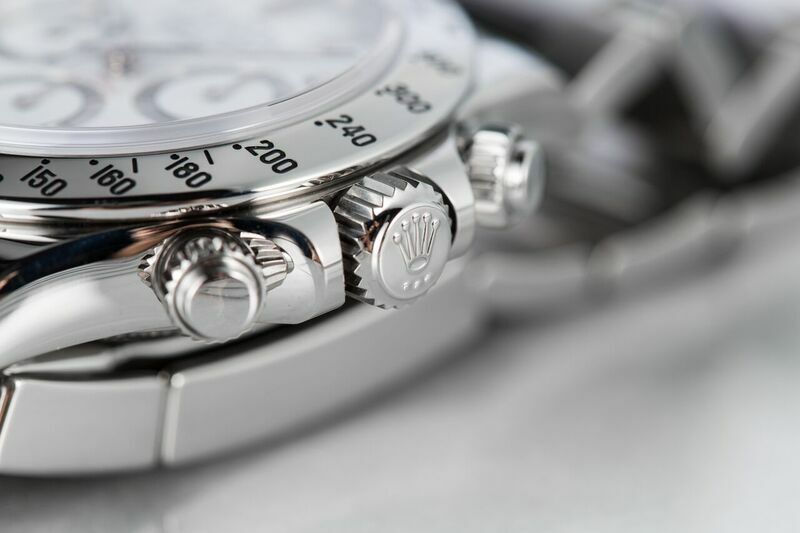 A Rolex Cosmograph Daytona 116250 is made of stainless steel. The Cosmograph Daytona 116520 is part of Rolex’s current collection and it is one of the brand’s most popular references right now. There are countless reasons to love this famous chronograph, but here’s our top four. A stainless steel Daytona is a highly masculine watch, especially made of stainless steel. For a luxury sports watch, nothing beats stainless steel for its rugged masculine appeal. Not only is it highly attractive, but also this metal is robust enough to endure tough situations. 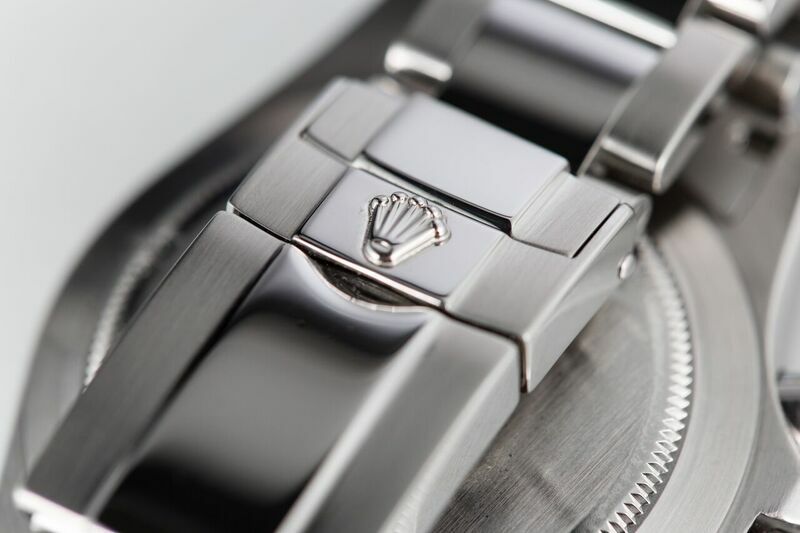 As with all modern Rolex watches, the stainless steel of choice is high-grade 904L steel, which is prized for its sheen, durability and resistance to corrosion. 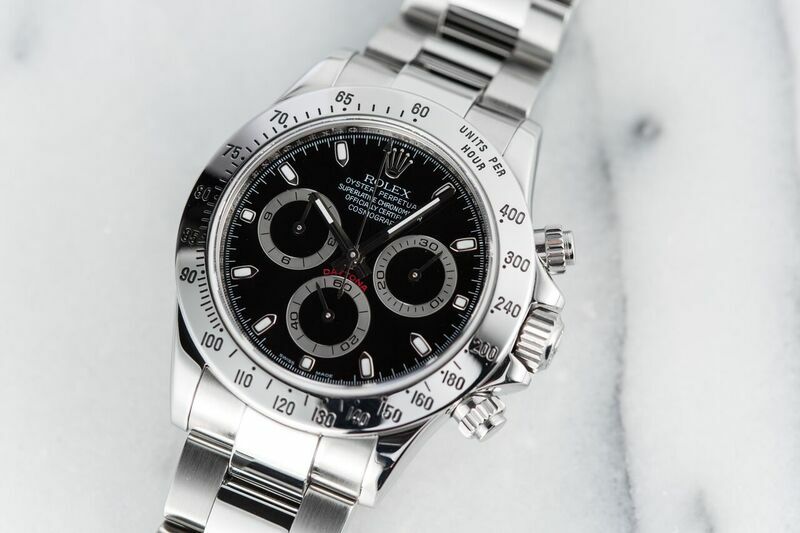 The Rolex Daytona 116520 is a full stainless steel model from its 40mm Oystercase to its tachymetric engraved bezel, to its supremely comfortable Oyster bracelet, making it one very cool piece. This stainless steel Daytona has changed a lot from its 50-years of history. The Daytona has undergone a few modifications and enhancements over the course of its 50-year history, yet the overall trademark look of the piece, including today’s ref. 116520, remains remarkably similar to the original one launched in 1953. Retaining the fundamental aesthetics of the first Cosmograph Daytona – round 40mm case, engraved steel tachymetric bezel, the placement of the trio of subdials, and the dual pushers surrounding the crown, – makes the dynamic timepiece instantaneously recognizable. Rolex Cosmograph Daytona 116250 has three subdials and a red “DAYTONA”. 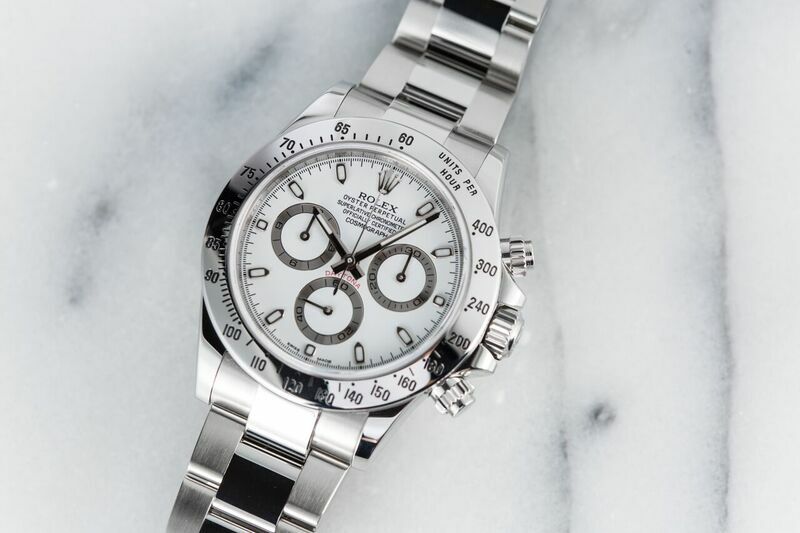 If you take a closer glance at the face of the Daytona 116520 there is a lot going on on the dial, yet Rolex manages to place and balance everything so meticulously that the end result is harmonious and legible rather than busy. 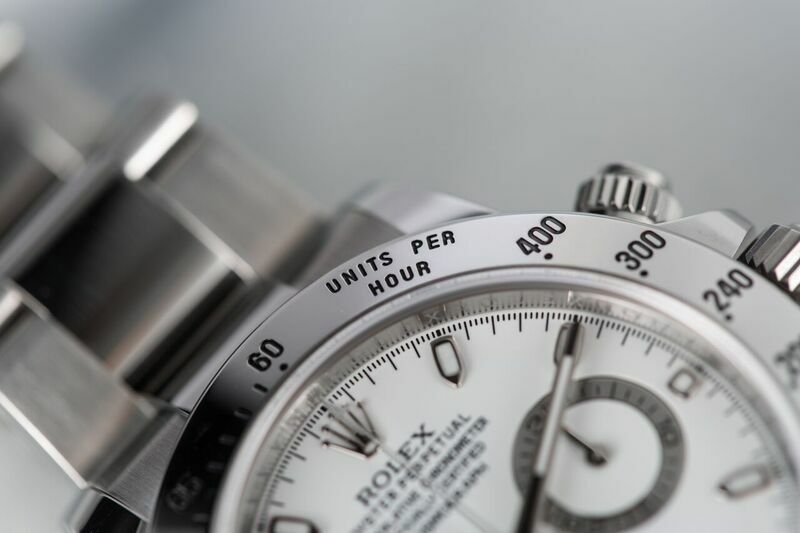 The most distinct feature of the dial is the three round sub-counters at 3, 6, and 9 o’clock, followed by the red “DAYTONA” label above the subdial at 6 o’clock. Both the hour-markers and minute and hour hands are accented with luminescent material for in-the-dark readability, while wearers have the option between a bold black dial or a sleek white version. The pushers on the Daytona 116250 have nearly perfect timing with little room for error. In addition to impeccable designs, Rolex watches are also famous and cherished for their outstanding precision and reliability as a timekeeping instrument. The Cosmograph Daytona is of course a chronograph whose main function, aside from telling the time, is essentially a very precise stopwatch. Beneath the beauty of the ref. 116520 is its steadfast engine – the Rolex Caliber 4130 automatic mechanical chronograph movement. Two counters on the dial tell the wearer the elapsed time in hours and minutes, while the center seconds hands can accurately record a time to within an 1/8 of a second. When the chronograph function is not being utilized, the pushers are screwed down, like the crown, to keep the water out and that guarantees the watch’s waterproofness to 330 feet. Despite the face that this was made for the tracks, it is waterproof. 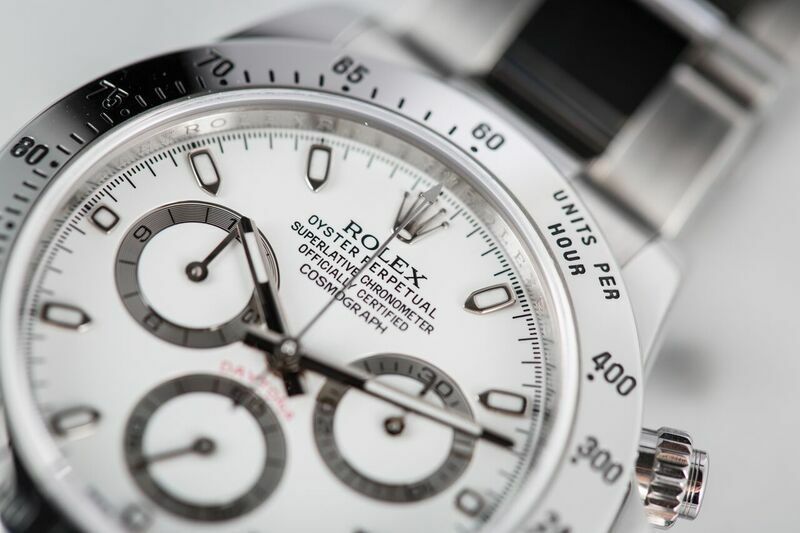 Whether you prefer the style of the black dial or the white model, you absolutely can’t go wrong with the Rolex Cosmograph Daytona 116520 as your gentlemen’s sports watch of choice.